25th July 2014, Kuala Lumpur – Popular Book Fest is starting soon. There will be a lot of fun activities and books signing sessions happening during the event. Here, I would like to feature a post about a book titled, 《当医生，go》. 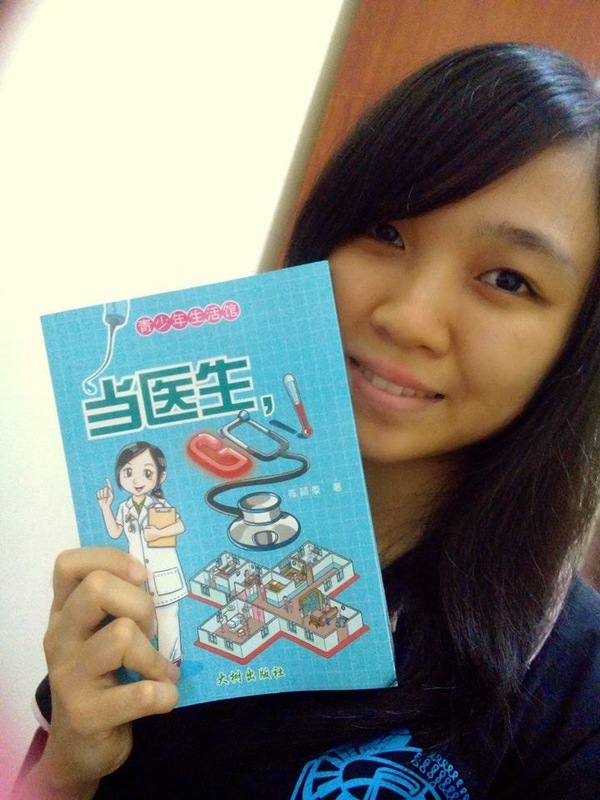 This book records the journey of being a medical student and it is written by one of my fellow colleague in my medical school, Chin Ying Hui. Similar like me, Ying Hui came from SMK Kepong too and we are actually sharing the same direct seniors for all first two phases of our medical students’ life. Anyway, she’s also a multitalented student. The book contains a few chapters about ups and downs of being a medical student with some illustrations and diagrams inside which depicts the scenario clearly. It would be a fun reading material for those passionate teenagers who always dream of becoming a doctor.